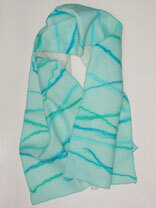 This scarf was made by cutting a piece of prefelt slightly larger than the gauze scarf. The gauze scarf was layered on top of the prefelt. Then lengths of roving were layered crosswise on top of the scarf ocassionaly crossing over each other. 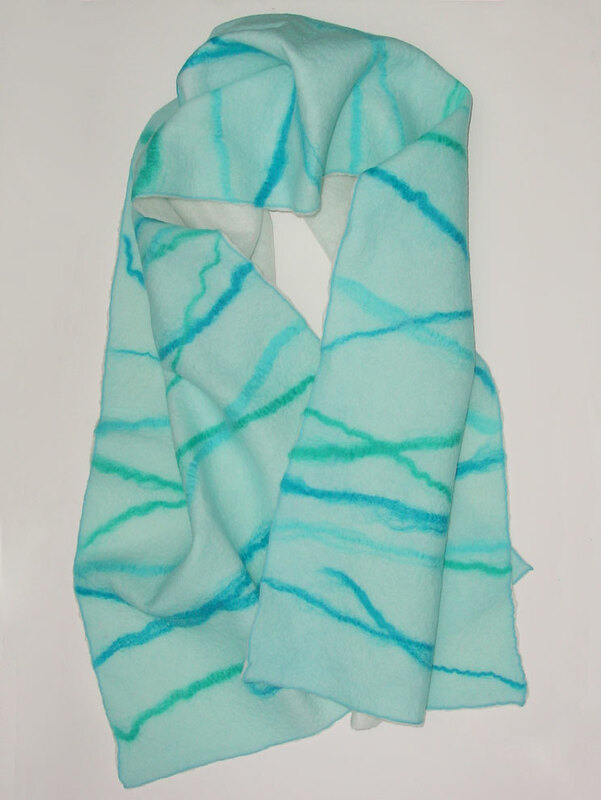 The scarf was felted in the traditional rolling method and fulled by rubbing while flat on the rolling mat. Finished size: ~ 18" x 64"